I got a Machine of Death card that said I’d die by “SABOTAGE.” I brought the card to work with me to show it to my co-worker, because I thought it was just an interesting conversation piece. But when I got to work, my boss, who has been setting me up for months now, put the final piece in place and fired me. I wasn’t dead, but it was still SABOTAGE. woah, hopefully there are no serial killers at my workplace. It only tells you when you’ll die naturally, though. As the book evidenced, there are a lot more ways than that. Kim, it doesn’t even do that. It states an upper limit on natural death. What is wrong with you Kim. I want to see this used for cancer research/predictions instead of life expectancy predictions that will probably come true <1% of the time. Telomere shortening in heart cells is all well and good and could lead to heart failure but so could a ton of other things. Okay, like, two come to mind. But still! But those two other things could totes weigh a ton. And I feel bad for Kim. This isn’t “Machine of Death” in real life. This is Heinlein’s “Life-Line” in real life – I suppose that is where the “Machine of Death” anthology got the basic idea. Sweet. 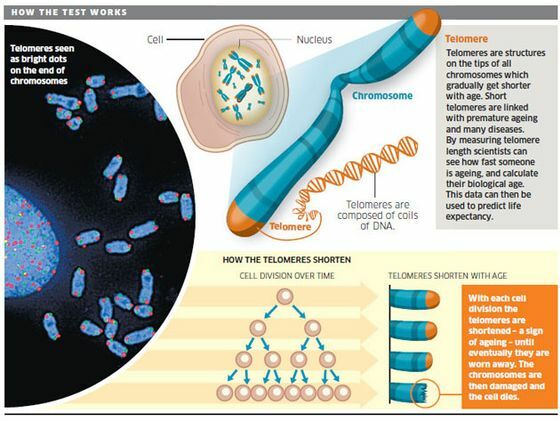 I’ve always been interested in telomere shortening, though more in the “If they solve this, we’ll be immortal sort of way”. Lobsters, for instance, show negligible senescence and it’s because their telomeres don’t shorten.